Welcome to Florida Turk Evi Website! 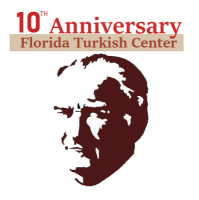 South Florida Turkish American community’s "Türk Evi" dream became a reality! It is right across the street from the Shooters restaurants on Intercoastal waterways in Fort Lauderdale. FTCF, representing the Turkish American community throughout South East Florida. Recognizing the importance of enhanced U.S.-Turkey cultural relation, FTCF works on creating a better understanding between Turkish Americans community. FTCF is a 501(c)3 non-profit organization. Your contribution is tax-deductible to the extent allowed by law!